Is there any longer any question? Haha… I love it. I just had to. If you don’t know who Jack Bauer is you can begin your education HERE. 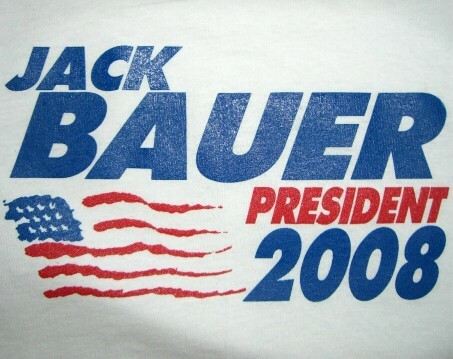 😉 UPDATE: Click HERE to see the Official Jack Bauer for President in 2008 “paid for by Bauer for President exploratory committee”. Too funny…. Where did you get that shirt. It’s sweet!